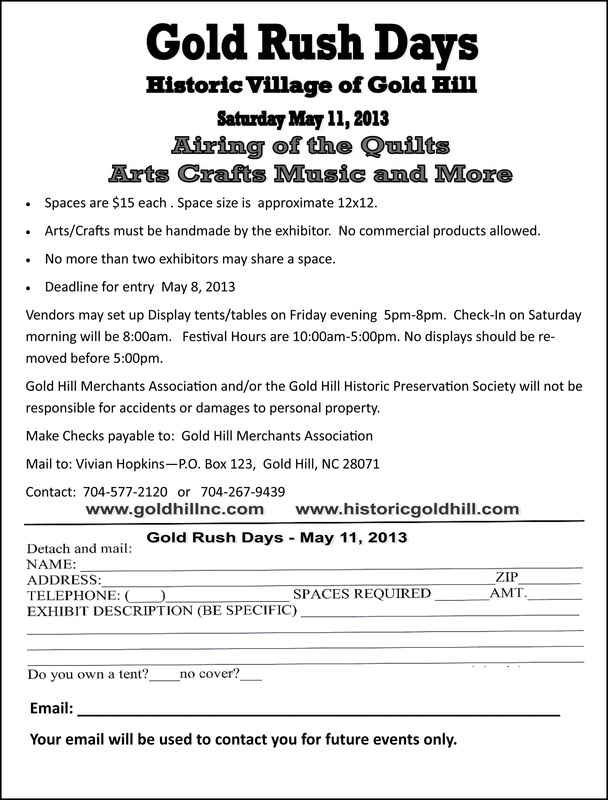 Join us for Gold Rush Days on May 11th. Shop and dine with the merchants, artists and crafters. Enjoy the Airing of the Quilts with quilts on display from Three Rivers Quilt Guild and local merchants. 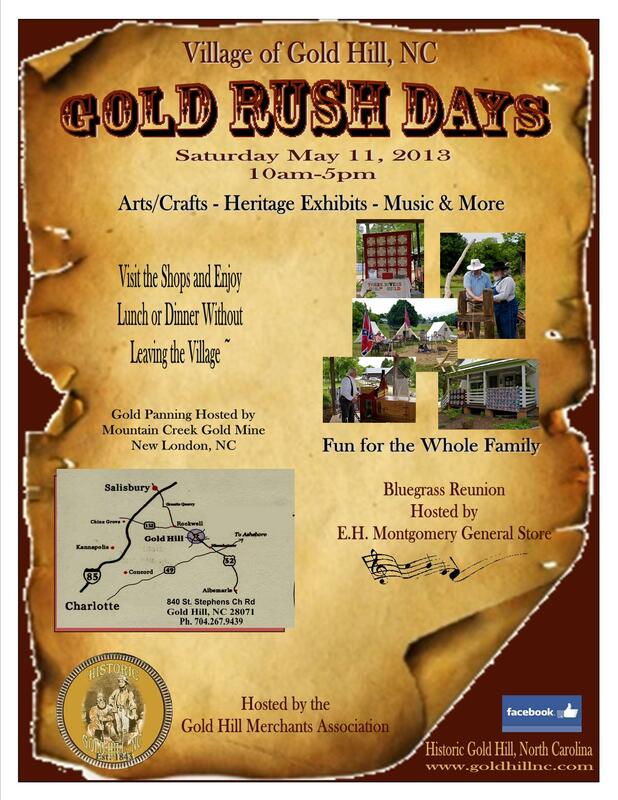 Try gold panning and enjoy heritage exhibits. A bluegrass reunion will also be part of Gold Rush Days. Click on the flyer below for a larger view and details. Vendors, application form is also attached below.